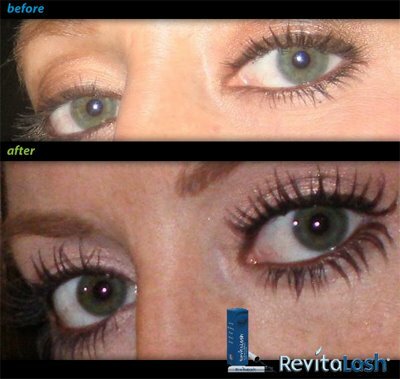 Keep your eye on this..
Revitalash® is a rather unique cosmetic innovation that can dramatically beautify your eyelashes within weeks with just a dab of Revitalash applied once a day, in the evening... at least 2 or 3 times per week for longer, thicker, fuller looking eyelashes. "No matter how brittle, short, fragile, thin or sparse your eyelashes are, Revitalash can help you achieve your very own long, beautiful, healthy looking lashes." And ladies, the conditioner should not interfere with your mascara use either. You'll want to continue using the product or your eyelashes will gradually return to their original appearance. If you've used Revitalash®, send us your before and after pictures. I'd love to share your personal experience with our followers, here at our blog and Twitter. Did Revitalash work for you? To try Revitalash, stop by Troy Richard Salon or send us email to schedule an appointment. Look around, Revitalash can be found in leading magazines such as DaySpa, Elle, European Sap, Cosmo, American Beauty, Instyle, renew, and O. 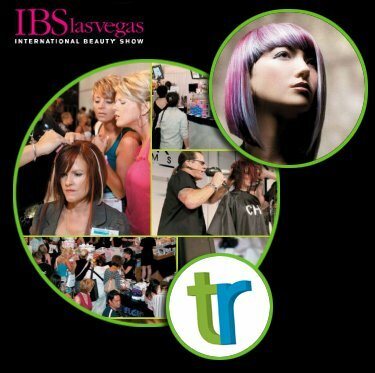 Those of you who have a career in beauty and heading for Las Vegas next weekend (June 13-15 2009) to attend the IBS International Beauty Show can try Revitalash in person – they'll be there... along with other top brands like OPI. Now remember, this is a show for beauty professionals only and not open to the general public. It's a show to educate, and open new doors for beauty professionals. But, if you want to try your first bottle of Revitalash® to see if it works, call Troy Richard Salon at 214-618-8071 or email hair@troyrichardsalon.com for details. It's possible that your reach your goal of more beautiful, natural eyelashes. This one is rather low on the complexity scale. First-off, you want longer, thicker, fuller looking eyelashes, correct? Use Revitalash® Eyelash Conditioner to Discover the beauty of your natural lashes... America's #1 Eyelash Conditioner. About the author: Troy Richard Salon is located in Frisco, Texas; your resource for glam and those obsessed with hair care. Troy Richard Salon (214) 618-8071 is located at 1279 Legacy Drive, Suite 120, Frisco, Texas 75034 in Stonebriar Commons. Troy Richard Salon; the difference between everyday looks, and one that's extraordinary.